Lahore Marina Boat Club is located 2 kilometers far from Baloki Headworks along riverside. The club is opened from 11:00 am until 5:00 pm. General population is not allowed so please call before 24 hours and provide number of individuals and presumed entry time. No user is permitted to join in the Jet Ski without life jacket. No individual should drive a watercraft/jet ski on the off chance that he/she is affected by medications or liquor. Swimming, washing, sculling or whatever other action in waters is entirely illegal amid Jet Ski preparing/riding. A skier/rider in the water must not be taken on board until the vessel/Jet Ski motor has been killed. No action of any sort is to happen on water from the time of one hour after nightfall to one hour before dawn. Try not to leave your vessel/plane ski carelessly. Injurious dialect is not permitted. Each member has to coordinate with the specialized staff. In the event if any individual does not comply with guidelines and does not listen to the directions given by the specialized staff or if any member confronts a mishap bringing on wounds or demise by suffocating, LMBC or eticketing.pk won’t be considered responsible for it. Lahore Marina Boat Club will charge and request a money installment, if any harm occurs to the Jet Ski or different types of gear because of carelessness of rider. 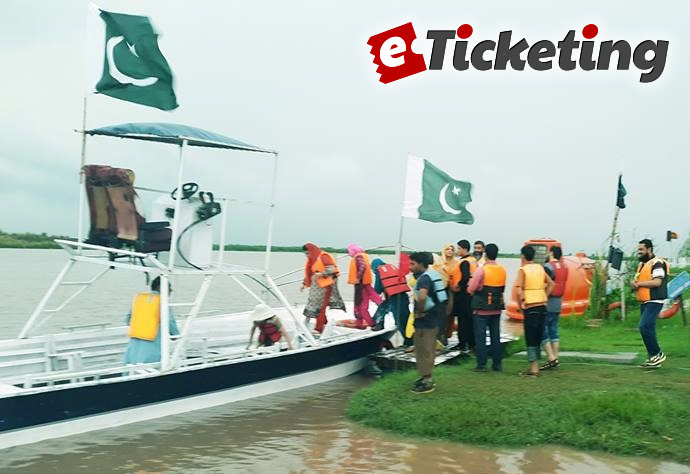 Lahore Marina Boat Club or eticketing.pk should not be in charge of any mishap occurring if there should be an occurrence of normal climate conditions. Members under 18 years old are not permitted to ride a Jet Ski. Everyone must sign coupon at the time of start. Try not to toss anything in the water; keep it clean. Try not to remain on Jet Ski while in operation. The blaze quenchers are found next to if there is a flame crisis.